This article is about American rapper. For the Ghanaian rapper, see Gurunkz. DJ Premier, Gang Starr, Gang Starr Foundation, Krumbsnatcha, Big L, Jeru the Damaja, Group Home, M.O.P. Elam was born in the Roxbury neighborhood of Boston, Massachusetts. His father, Harry, was a judge and his mother, Barbara, was the co-director of libraries in the Boston public school system. He attended the Advent School on Beacon Hill in Boston, Noble and Greenough School in Dedham, Massachusetts, and Cohasset High School in Cohasset, Massachusetts for high school. Elam graduated with a degree in business administration from Morehouse College in Atlanta and took graduate classes at the Fashion Institute of Technology in Manhattan. Elam began his music career under the pseudonym MC Keithy E but later changed his name to Guru. 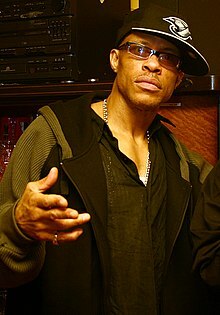 He founded Gang Starr in 1987. The group initially released three records, produced by The 45 King, on the Wild Pitch Records record label, but these records received little attention. After a change in line-up, the group consisted of rapper Guru and beat maker DJ Premier. Gang Starr released its first LP No More Mr. Nice Guy on Wild Pitch Records; the group achieved a sizable following and released six critically acclaimed and influential albums from 1989 to 2003. Two albums, Moment of Truth (1998) and compilation Full Clip: A Decade of Gang Starr (1999) were certified gold in the United States by the RIAA. Gang Starr made archetypal East Coast hip hop with Guru's rhyming described as sharp-eyed but anti-ostentatious. In 1993, Guru released the first in a series of four solo albums while still a member of Gang Starr. Jazzmatazz, Vol. 1 featured collaborations with Donald Byrd, N'Dea Davenport, MC Solaar and Roy Ayers and received positive reviews. His second solo LP, Jazzmatazz, Vol. 2: The New Reality, featured Chaka Khan, Ramsey Lewis, Branford Marsalis and Jamiroquai. The third installment was released in 2000, but it received less positive reviews. In 1994, Guru appeared on the Red Hot Organization's compilation album Stolen Moments: Red Hot + Cool. The album, meant to raise awareness and funds in support of the AIDS epidemic in relation to the African American community, was heralded as the album of the year by Time Magazine. In reference to the above-mentioned Jazzmatazz project, Guru told Pete Lewis of Blues & Soul: "Back around '93—when I first came up with the Jazzmatazz concept—I was noticing how a lot of cats were digging in the crates and sampling jazz breaks to make hip hop records. But while I thought that was cool, I wanted to take it to the next level and actually create a new genre by getting the actual dudes we were sampling into the studio to jam over hip hop beats with some of the top vocalists of the time. You know, the whole thing was experimental, but I knew it was an idea that would spawn some historic music." Guru's first solo album not a part the Jazzmatazz series, Baldhead Slick & da Click, was released in 2001 to poor reviews. The album reached #22 on the Billboard R&B/Hip Hop album charts. The seventh chapter in the book of Guru, Version 7.0: The Street Scriptures, was released in 2005 on Guru's own record label, 7 Grand Records. The album was produced entirely by labelmate Solar. It reached #54 on the Billboard R&B albums charts and received mixed reviews. Guru's final releases were the fourth installment in the Jazzmatazz series, released in June 2007; and Guru 8.0: Lost And Found, released May 19, 2009 (also in collaboration with Solar). A Gang Starr reunion album was planned but will never be released because of Guru's death. On February 28, 2010, Guru went into cardiac arrest and, following surgery, fell into a coma. It was claimed that Guru had briefly awakened from his coma but died on April 19, 2010, at the age of 48, from cancer. Guru was survived by his parents, three siblings, and a son named Keith Casim. His production partner, Solar, claimed that Guru had momentarily awakened from his coma to compose a letter to the public, although DJ Premier and members of the emcee's family stated that he never regained consciousness. Guru's family claimed that Solar had prevented them from having contact with Guru during his illness just before his death. The validity of the death-bed letter was challenged by Guru's family. In an interview on Conspiracy Worldwide Radio, Solar claimed that he was protective of Guru, and everything he had said was true. This interview was met by extreme emotion from the hip hop community and did little to clear the controversy surrounding his actions. DJ Premier produced a tribute mix to Guru and has released a public letter along with Guru's sister Patricia Elam. Harry J. Elam, an older brother, wrote a personal memoir in remembrance published in The Boston Globe on April 23, 2010. The Elam family had a Guru Tribute Web Site set up where visitors were able to view tributes and sign a memorial page. Guru's nephew Justin Nicholas-Elam Ruff made a 16-minute documentary in which he narrated the story of his late uncle. At the 2011 Grammy Awards, Guru's name was not mentioned in the annual retrospective of musicians who had died since the 2010 awards. On April 21, 2011, Revive Da Live Big Band held a tribute show for Guru at Le Poisson Rouge in New York City. The show paid homage to Guru's Jazzmatazz series and featured a full jazz band tribute, with all proceeds going towards the Elam family. During the concert, Babygrande Records donated $5000 to Guru's son, K.C. Elam. The French city of Montpellier named a small street "Allée Guru" after the rapper, citing his influence on both hip hop and jazz. It is near streets named for other American cultural figures Jay Dee, Ray Charles, Andy Warhol, and Nina Simone. The Substitute 2: School's Out (1998) as Little B. 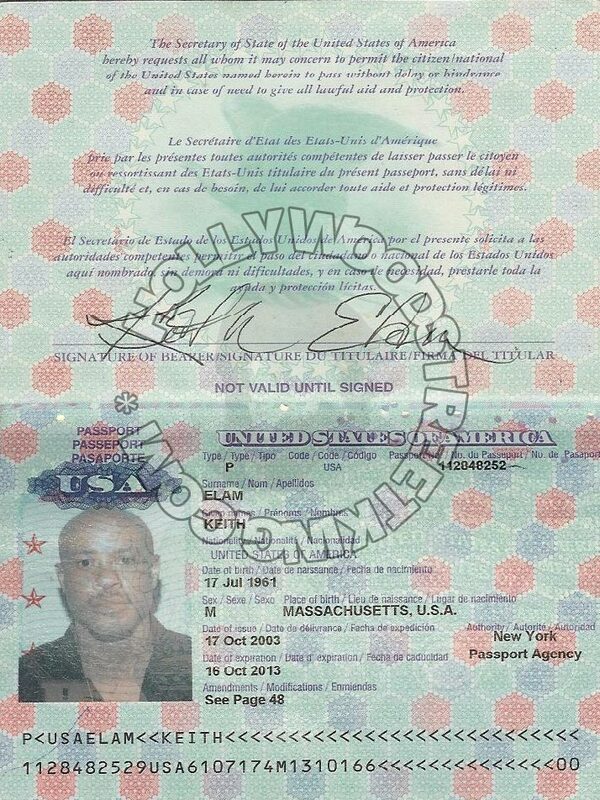 ^ "Scan of the Keith Elam's passport". diaryofahollywoodstreetking. diaryofahollywoodstreetking.com. Retrieved 17 July 2018. ^ Birchmeier, Jason. "Gang Starr | Biography & History". AllMusic. Retrieved 2017-03-03. ^ "Top 50 MCs of Our Time: 1987 - 2007 - 50 Greatest Emcees of Our Time". Rap.about.com. 2012-09-07. Retrieved 2012-12-26. ^ Hill, Daren. "Top 50 Lyrical Leaders". The Source. No. 253. p. 73. ^ a b c Caramanica, Jon (March 3, 2010). "Gang Starr legend GURU out of coma, issues press release". Retrieved April 24, 2010. ^ a b c Cartwright, Garth (April 21, 2006). "Guru obituary". London: Guardian. Retrieved April 24, 2010. ^ "Discography—the Official 45 King Web Site". Retrieved June 27, 2010. ^ "Jazzmatazz, Vol. 3 > Overview". allmusic.com. Retrieved April 24, 2010. ^ "Baldhead Slick & da Click. Overview". allmusic.com. Retrieved June 27, 2010. ^ "Version 7.0: The Street Scriptures > Overview". allmusic.com. Retrieved April 24, 2010. ^ "Official Statement From Dj Premier on the Death of Keith Elam… Guru « In Memory Of Kenneth Walker". Livefromheadqcourterz.wordpress.com. Retrieved 2010-05-12. ^ "UPDATE: Guru Surgery Successful; Full Recovery Expected". Allhiphop.com. March 2, 2010. ^ "Gang Starr's Guru Goes Into Cardiac Arrest, in a Coma | Get the Latest Hip Hop News, Rap News, and Hip Hop Album Sales". HipHopDX. 2010-03-05. Retrieved 2010-05-12. ^ "Gang Starr's Guru Dies of Cancer". Exclaim.ca. April 20, 2010. Archived from the original on April 24, 2010. Retrieved April 21, 2010. ^ Kaufman, Gil (2010-04-21). "Guru's Family Releases Statement About His Death". MTV. Retrieved 2010-04-22. ^ "Gang Starr's Guru dies of cancer | News". Nme.Com. Retrieved 2010-05-12. ^ "Gang Starr rapper Guru's Family Questions Death-Bed Letter | News". Nme.Com. Retrieved 2010-05-12. ^ "The Only Fan Site Approved by DJ Premier » Blog Archive » Keith "Guru" Elam Tribute Mix by DJ Premier". DJ Premier Blog. 2010-04-24. Retrieved 2010-05-12. ^ "The Only Fansite Approved by DJ Premier » Blog Archive » Official Statement From DJ Premier On The Passing Of Guru". DJ Premier Blog. 2010-04-21. Retrieved 2010-05-12. ^ "The Only Fan Site Approved by DJ Premier » Blog Archive » Public Letter From Guru's Sister Patricia". DJ Premier Blog. 2010-04-21. Retrieved 2010-05-12. ^ "Harry J. Elam Jr. - Remembering My Brother, Guru". boston.com. April 23, 2010. Retrieved April 23, 2010. ^ "Guru Tributes - Official Tribute site hosted by Elam family". gurutributes.com. Retrieved May 20, 2010. ^ "Guru Tribute By His Nephew Justin Nicholas-Elam Ruff". gurutributes.com. Retrieved July 20, 2010. ^ "G.U.R.U. Tribute At LPR, 4/21". Revivalist Music. Archived from the original on 2012-03-16. Retrieved 25 April 2011. ^ "Babygrande Records Remembers Keith "Guru" Elam With Donation To His Son". Babygrande Records. Archived from the original on 29 September 2011. Retrieved 25 April 2011. Wikimedia Commons has media related to Guru. This page was last edited on 1 April 2019, at 23:37 (UTC).